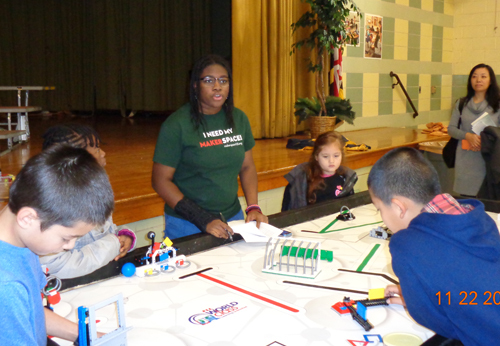 Team member Chenelle is a Team Coach for FLL Team MakerSpace 125 from Greenbelt, MD. 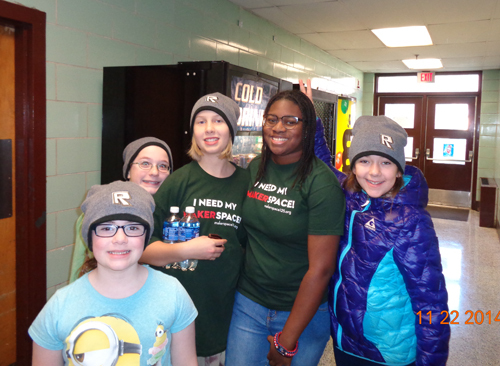 She is helping them as they prepare for their tournament season. 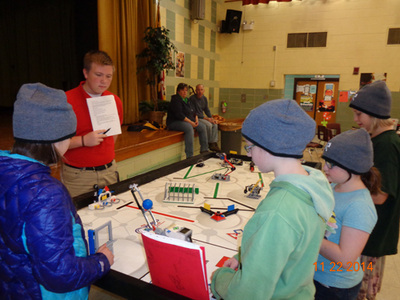 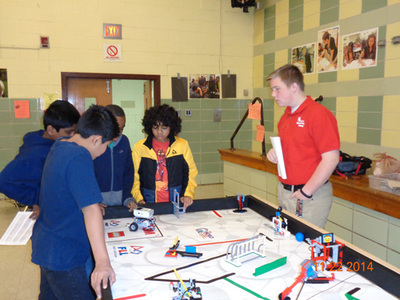 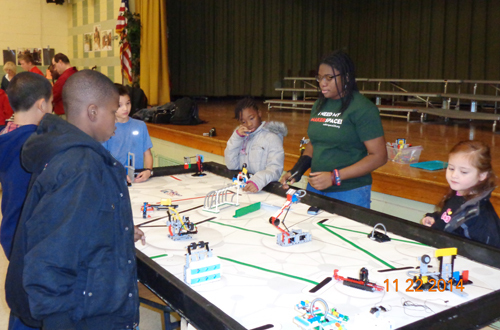 The FLL teams in the local area attended a mock tournament on November 22, 2014, and Chenelle and Caleb helped coach and prepare the teams for their first FLL Tournament.